Award winning artists and authors Keith Svagerko and Sydney Svagerko traveled to Florence, Italy to capture the city's amazing charm in a travel guide created from a kid's view. 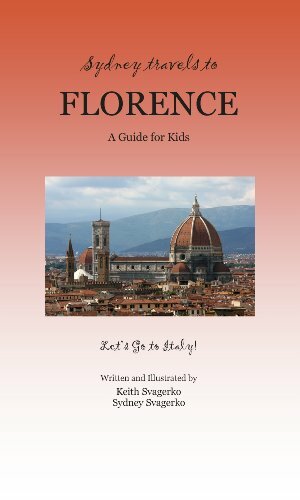 This kid's guide helps children prepare for a trip to Florence, Italy and provides tips for grown-ups, too. Filled with descriptions, photographs, original drawings and activities, this guide will educate and engage children while building anticipation for their trip. Sydney says, "This is Florence for kids!" If you have any questions about this product by Booklocker.com, Inc., contact us by completing and submitting the form below. If you are looking for a specif part number, please include it with your message.